Introducing a new way to improve your health - while you work! 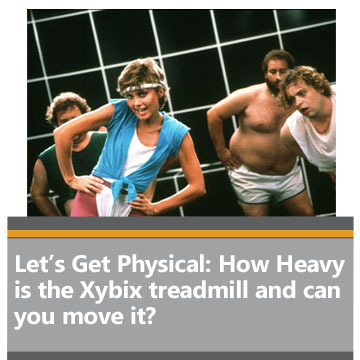 Xybix has recently added treadmills and bikes to it's workstations so that users can walk or pedal while they work. We have all been told not to sit too much and taught what proper ergonomics should look like at a workstation. But, times, they are ‘a changing! Recent news publications have emphasized the negative health effects sitting too much (frequently referred to as "sitting disease"). When the stress levels are high, the work hours are long, your health is likely to take the back seat. But, now it doesn't have to! Still not convinced? Read more in one of our blogs. 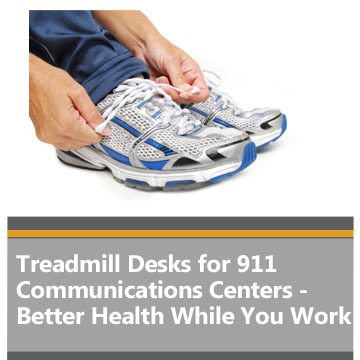 Take a step toward better health with the Xybix health treadmill for 911 Dispatch. 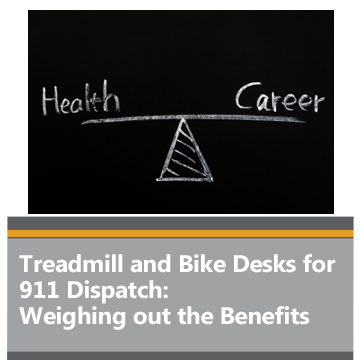 Increase your activity throughout the day with the Xybix Health Bike for 911 Dispatch.